I have a confession to make: I am not a good blogger of my personal genealogy. It has become increasingly clear over the last several months. My personal genealogy blog is the most neglected of them all. 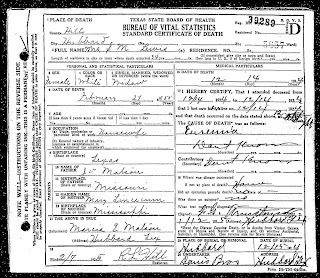 I do work on my personal family history, to be sure, I just rarely want to blog about. On the other hand, I LOVE spending hours and hours in a cemetery, photographing tombstones, conducting research, and bringing you the stories behind those stones. Even though there have been lapses when my personal life took a front seat to cemetery research, this blog has been pretty darn consistent. I have decided to interject a little bit of my family history into this Southern Graves blog. You will know these posts at a glance because the tag This Time It's Personal will always be included. I plan to migrate applicable posts from my personal genealogy blog to this blog, as I wrestle with the decision as to whether or not to even keep the other blog. These posts will be concentrated on the final days of a particular ancestor, as to not deviate from the theme of this blog. In these posts, however, you might see just as many obituaries and death certificates as you do tombstones. For that, I hope you don't mind. For you lovely readers who visit strictly for the cemetery art and histories, please don't run away -- or worry. That will always be the main focus of this blog. As I said, a perfect day for me includes hours spent walking and photographing a peaceful and picturesque cemetery. And even the overgrown and neglected ones hold those characteristics for me. For my first This Time It's Personal post, I'd like to introduce you to a 3rd cousin. Originally posted last December on the Lincecum Lineage blog. 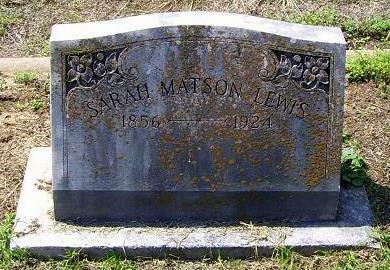 Sallie Caroline Matson, my 3rd cousin, was a daughter of James Vardeman Matson and Mary Lincecum. I have two birth years for Sallie. 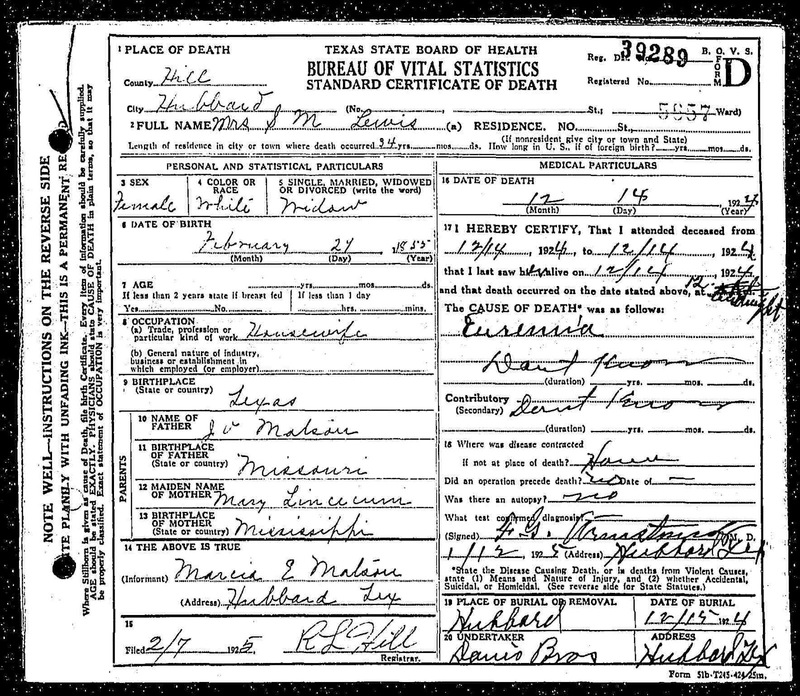 According to her death certificate, Sallie was born 24 February 1855 in Texas. According to her tombstone, however, her year of birth was 1856. Either way, she was just a young teenager when she married Mr. H. M. Lewis in December 1870. Widowed a couple decades later, Sallie spent about half of her life in Hubbard, Hill County, Texas. That is where she died 14 December 1924, less than a week before what would have been the 54th anniversary of her marriage. The cause of Sallie's death was listed as Euremia. According to Wikipedia.org, uremia loosely describes the illness accompanying kidney failure, "in particular the nitrogenous waste products associated with the failure of this organ...Early symptoms include anorexia and lethargy, and late symptoms can include decreased mental acuity and coma. Other symptoms include fatigue, nausea, vomiting, cold, bone pain, itch, shortness of breath, and seizures." Sallie was laid to rest in Fairview Cemetery at Hubbard.